Vacation in July 2013 at Bernard's Landing on Smith Mountain Lake, near Roanoke in western Virginia. For prints of these images, please email us at Allindaphoto@comcast.net. We make sure you get the correct size for your needs. We can custom print any size and coordinate the print to suit your needs. We can also make custom mats for your print. Framing can also be done. If so, your framed print will be ready to hang when it arrives. For larger prints we can have the image printed off-site. Contact us for pricing if you want us to print, mat and frame your picture. 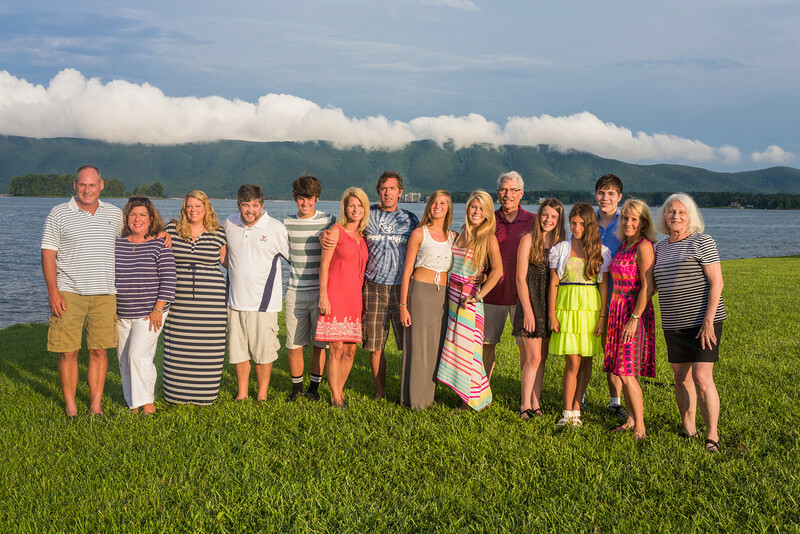 The Group at Smith Mountain Lake - with the cloud hanging over the mountain (Smith Mountain).